Concept: Popeye © 1933 King Features, a subsidiary of the Hearst Corporation. Popeye Game © 1982 Nintendo. 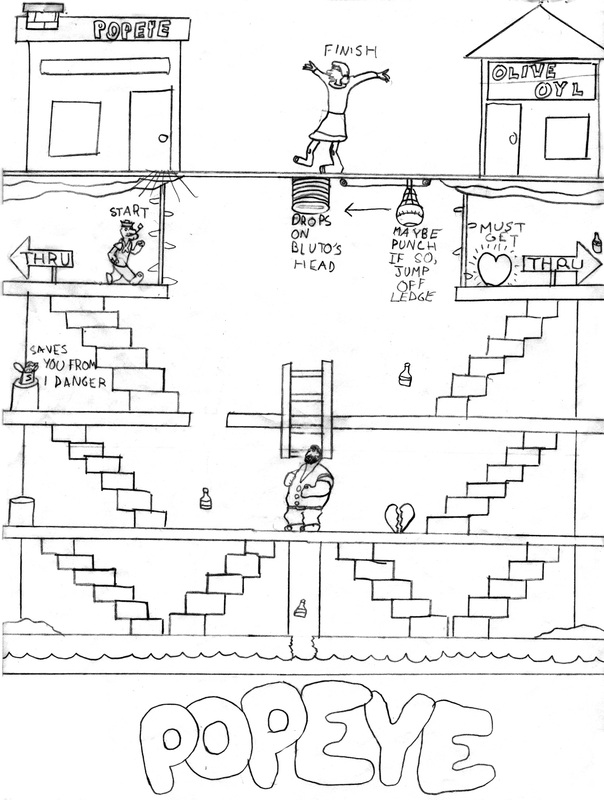 In turned out that the play screens for the Popeye game weren't complex enough to support very much in terms of maze design, so this ended up being the only Popeye maze I made, despite two more unique levels in the game.